The government of President Nana Addo Dankwa Akufo-Addo must have done a lot in the last two years, much to the admiration of the outside world, but the inability of the people tasked with communicating those works (government plans and policies) to the good people of Ghana is becoming more worrying than one can imagine. So bad is the situation that, at a point, party officials were reported to have lamented over the poor communication and information management by some of the president’s appointees. While Michael Omari Wadie (now NPP national vice chairman) was quoted as attributing the notorious attitude of the Invincible Forces to the absence of proper communication between government machinery and the grassroots of the party, Yaw Adomako Baafi (until recently NPP communication director) slammed the party for being terribly poor at managing information, particularly over the dismissal of the former Minister of Energy, Boakye Agyarko. Even the party’s general secretary, John Boadu, admitted that government’s recent decision to postpone the implementation of the closed season for fishing was because of lapses in communication and consultation with fishermen and other stakeholders in the industry. Today, one will not have to consult an oracle to conclude that the party and government are struggling to explain their own policies, much to the dismay of millions of NPP supporters. And as should be expected, the opposition National Democratic Congress (NDC) is feeding fat on the situation like no man’s business. To our understanding, government flagship policies such as Ghana Beyond Aid, One District One Factory, and One Village One Dam are part of the long-term visions of President Akufo-Addo for the nation, and not time-bound programmes, for which he must be held accountable barely two years in government. Just as Dr. Nkrumah’s Free Primary Education and Gen. Acheampong’s Operation Feed the Nation Policies, it must be explained that Akufo-Addo’s visions are the aspirational descriptions of what his government hopes to achieve or accomplish in the long-term. The question is, when, for instance, the United Nations launched the UN Special Programme for 3rd World Countries, to provide potable water for everybody by 1990, and backed the creation of Sasakawa Global 2000 to alleviate regional reliance on food aid, and build agricultural self-sufficiency in sub-Saharan Africa, and again supported the Vision 2020 Global Initiative to eliminate avoidable blindness by the year 2020, can we say the UN or those who initiated those laudable programmes have failed because hunger and blindness still abound in Africa? Certainly not. Or better still, for the purpose of religious gullibility, had it not been 8,000 long years since God ‘reportedly’ assured Abraham that his descendants would be like the number of sand at the beach? What will the critics say in this regard, considering the fact that the world’s population currently stands at 8 billion, which is barely a bucketful of sand? 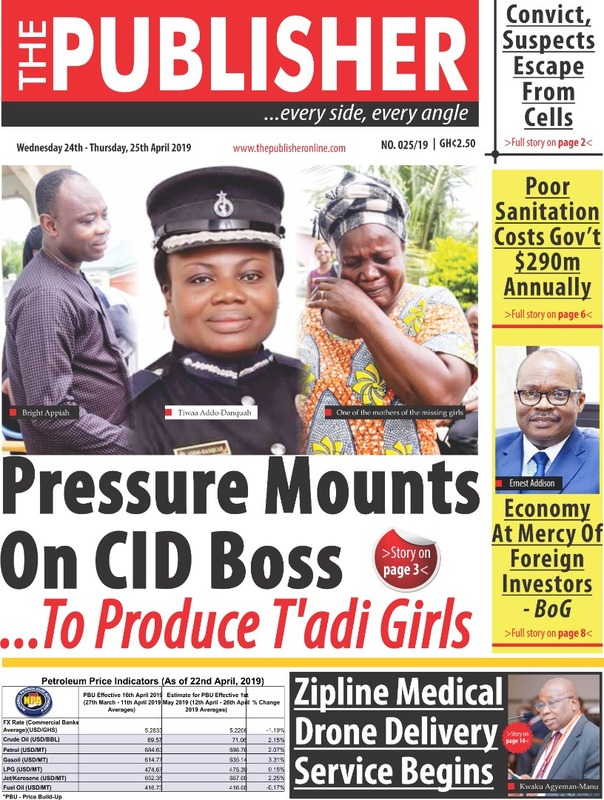 Again, aside the NPP communicators’ woeful handling of issues vis-à-vis 1D1F, 1V1D, and Ghana Beyond Aid, THE PUBLISHER finds it pitiable that the government itself is struggling to be emphatic that the Tax Identification Numbers (TIN) being introduced into our national dictum is actually for EVERY GHANAIAN, and not only for people who want to do government business. The paper thinks that, until this lame trend of bad communication is reversed, government and the ruling party will remain on the defensive side of every national discourse, even on issues regarding their own policies. The price of miscommunication is very dear, and can cost the hardest-working president political power.